Tholpetty reserve, about 20 kms from Mananthavady, is one of the best places in Kerala for sighting wild elephants. 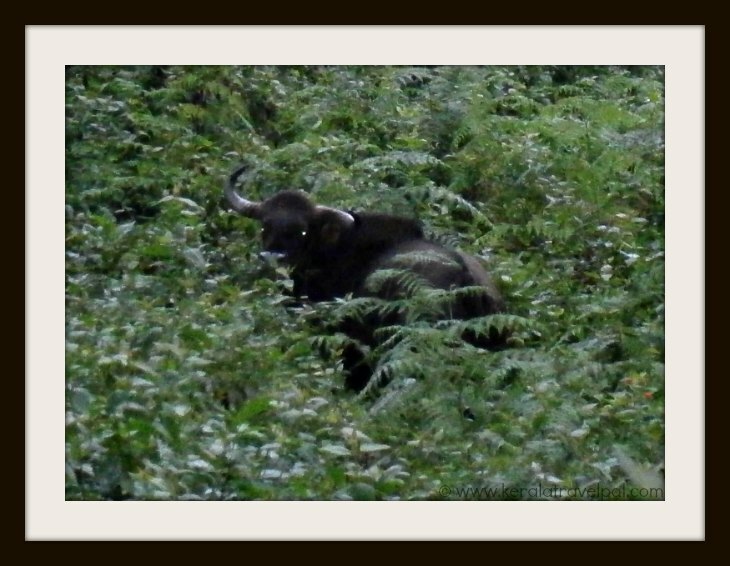 Other than elephant herds, there is good chance to spot bison, deer, monkey, giant squirrel and a range of other animals. Tigers and leopards are present here. However, they are rarely seen in the peripheral zones where tourists are permitted. Travel to the sanctuary itself is an experience. As we pass areas of large trees, bushes and bamboo woods, there is always the expectation – which animal are we going to spot next? 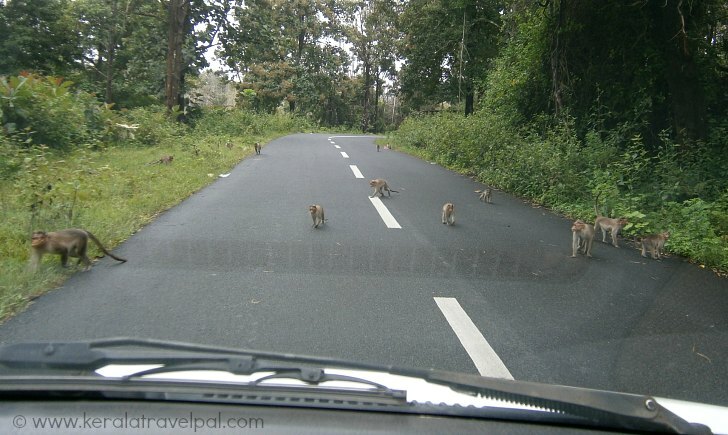 Two major wildlife sanctuaries in Wayanad, Muthanga and Tholpetty, are together mentioned as Wayanad Wildlife Sanctuary. Once a continuous patch of woods, forests in between the two have been replaced by plantations and human settlements. However, the name stays. Also, plants and animals in both the places are similar. Being part of Nilgiri biosphere, it spreads over the northern region of Wayanad, connected to Nagarhole Sanctuary in Karnataka. Kutta in Karnataka is only 5 kms from the Tholpetty, which is located just near the interstate boder. One of the popular ways to explore the woods is the jeep safari, conducted by the forest officials. Jeeps are provided by the forest department and they come with a driver and a guide. These two hour rides through jungle tracks are great to spot wildlife including elephants. No wonder, these rides are popular. The catch though is the rides get booked out fast, so book early if you want to get into one. Visitor times are limited to 7 – 9 A.M and 3 -5 P.M.
Are keen on spotting animals? Then try in advance to get a place in the earliest of all rides. True, it is inconvenient to reach there at early dawn and to wait in the cold weather. There is not much choice because animals tend to shy away from forest paths after they see a few jeeps and hear noises. Guided treks are also conducted daily. Five hour treks start at 8 A.M and finish around 1P.M. The contact person for the sanctuary is the Assistant Wildlife Warden. Sanctuary entrance itself is in the middle of the forest. Accommodation options around are very limited. Pachyderm palace is a small outfit offering stay near the entrance of the sanctuary. The main building is a Kerala Styled house. They also have a tree house at the rear for those who want a close to the woods experience. Although a bit pricey, location, great service and food make up for it. Other stay option is Mananthavady town, where there are a few lodges and hotels, mostly budget ones. For luxury accommodation, try resorts or opt for Kalpetta, the largest town in Wayanad. Mananthavady, the nearest major town, can be reached in less than an hour by car. From Mananthavady town, take Mysore Road. At Kattikkulam, turn left to the road going to Kutta. Keep going till you reach the check post, where the sanctuary entrance and office are located. From Manathavady, the sanctuary can be accessed by buses that service through Tholpetty. A better choice may be hiring taxi. The nearest railway station is Kozhikode (Calicut), about 130 kms away. From there, take a bus to Kalpetta, Sulthan Batheri or Mananthavady, depending on where you want to stay. Thirunelli temple is only 13 kms from the sanctuary. Nagarhole National Park and Iruppu Falls, two other interesting spots in the region, are part of Karnataka State. They also can be visited from here. Pazhassi Monument is in Mananthavady town itself, so can be easily accessed.